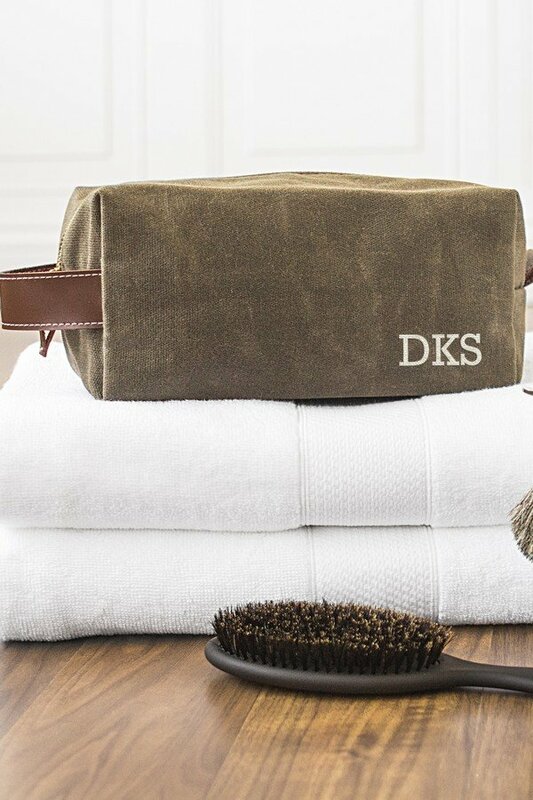 Your new favorite travel companion, this personalized men's wet waxed canvas and leather toiletry bag is personalized with a custom printed large single initial or monogram. An exceptional gift for your son, or yourself to take to college or even on a weekend road trip. 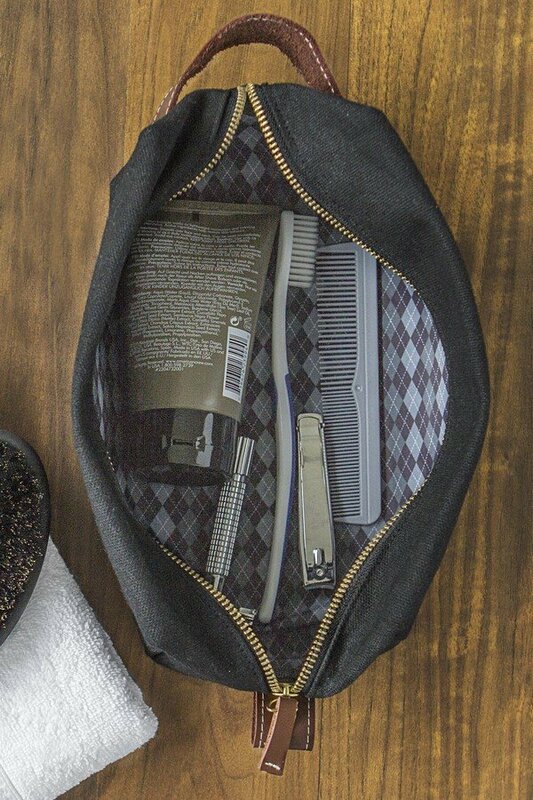 This bag is a dorm room necessity, when carrying your toiletries to and from the bathroom, your items will be safe and organized. 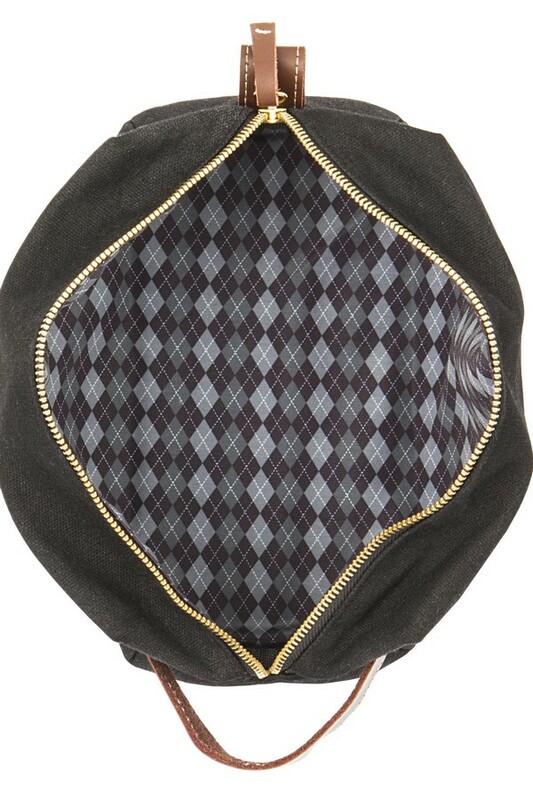 With the wide zippered opening, there is easy access and visibility to your items. 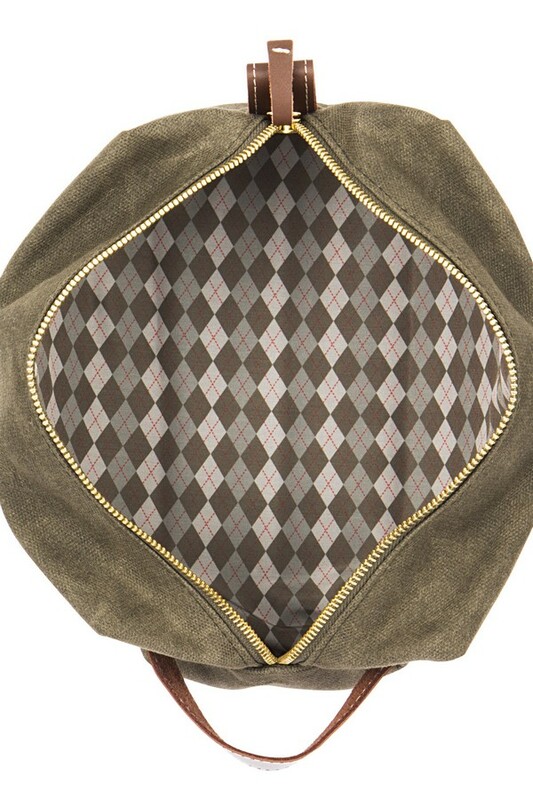 Each bag's personalization is printed in the bottom right corner, on the front of the bag. - Double stitched leather handle and pull tab. - Care Instructions: Spot clean and air dry. Service was good but I was very disappointed in the quality of the bag. It is very flimsy and lightweight. I thought from the description the canvas would be more heavyweight. I received my bags and they were perfect!!! I know my brothers will be so happy with them. Delivery was quick and I am very pleased with how they turned out.